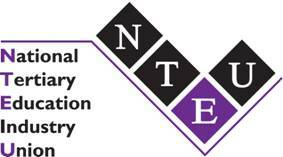 The NTEU (WA Division) is seeking applications for a full-time, ongoing Level 6 or 7 Division Industrial Officer position, which isavailable immediately. The position is a full-time, on-going WA Division position. It is located in Perth, but the appointee will be expected to attend meetings at the five WA University Branches. The appointee will be part of a team of industrial and organising staff working across the WA Division. The appointee is expected to have their own vehicle and a current Driver’s Licence that is valid in WA. The position is responsible to the WA Division Secretary and the appointee will work with members, elected officers and other NTEU staff. The appointment will be made at either NTEU Level 6 or 7, depending on qualifications and/or experience and carry a salary in the range $90,739 to $99,474 (Level 6) or $102,971 to $113,686 (Level 7), plus an additional 17% employer superannuation component. with the Position Descriptions for each Level. Please quote in application: Industrial Officer via Pro Bono Australia.